Anyone familiar with the series will be able to slip right back in very comfortably though – the central control scheme using the mouse wheel to control the side menu is still very much present and movement/stance controls are the same, save for a graduated approach to crouching and leaning to the side, meaning you don’t have to present your whole head and upper body in order to look around a corner. Also if you’re feeling particularly cinematic, they’ve added a ‘last stand’ animation allowing you to fire your weapon while on your back. 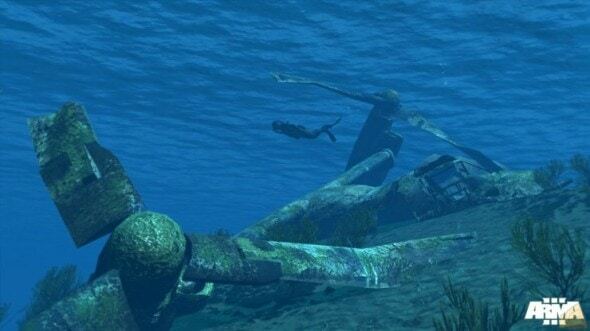 In terms of utterly new features, Arma 3 is giving players fully-fledged underwater gameplay, complete with a busy ocean floor and various shipwrecks, underwater-compatible weapons and mini-submarines. And I think I’m correct in saying this is the first open world game to offer such functionality. You’re gonna be able to use a single-man sub as well as a two-man slightly larger SDV. The marine world looks as beautiful as that of the land and the ability to see above the water level to aircraft flying overhead only adds to the experience. 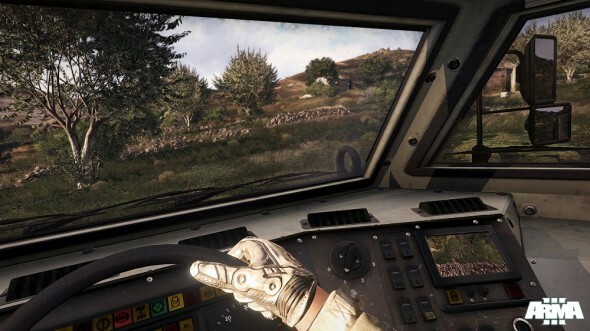 In addition to brand new features, the game continues to build upon the better structure physics that Arma 2: Operation Arrowhead offered, and allows you to now enter virtually every building on its new (unprecedented size) map, Limnos. Not only that but more variety has been added, the best example I saw of which was a radar station with a massive dome, which dominated one of the smaller island maps and serves in a number of campaign missions. Though I’m unsure what ungodly rig BI had Arma 3 running on, whatever it was, the game was running as smooth as butter, at what must have been around 50 frames per second. Everything from the animations to the aiming simply felt more natural and less like operating a forklift truck and needless to say, the game looks stunning, and they’ve put a little more detail into weapons and player models to go alongside the life-like environment. Arma 3 is still an Arma game, with its pinpoint emphasis on realism and the open world, and likely won’t attract a large Call of Duty audience – it doesn’t intend to. What it does do is provide significant and meaningful upgrades and additions to the Arma franchise while retaining the openness its community adores. 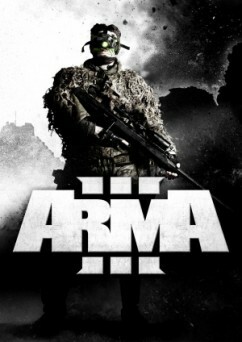 Arma 3 is out this winter.